Clark specializes in representing physicians in healthcare contract matters, business litigation, criminal law, collections, personal injury, real estate and estate planning. He has extensive courtroom experience, ranging from the Associate Division of the Circuit Court through the Missouri Court of Appeals. Clark represents numerous financing companies, real estate holding companies, property management companies and other small businesses, along with countless individuals, in a wide variety of legal issues. Clark was born and raised in Columbia, graduating from Rock Bridge High School in 2001. 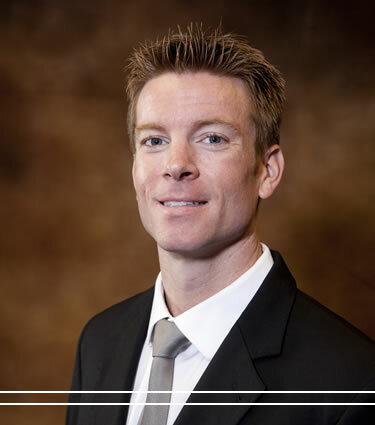 He attended college at the University of Arkansas and graduated in 2005 with a BSBA in Finance & Real Estate. Clark then attended the University of Missouri where he received his JD and MBA degrees in 2008. He was hired as an associate at the firm immediately thereafter. NOTICE and DISCLAIMER: By using this page, you have chosen to send an e-mail to the staff of Jones, Schneider & Stevens LLC. The sending or receipt of this e-mail and the information in it does not create an attorney-client relationship between you and any of the attorneys of Jones, Schneider & Stevens LLC. Please provide your contact information and a very general description of your issue and an attorney will be in contact with you. YOU SHOULD NOT PROVIDE SPECIFIC INFORMATION ABOUT YOUR CASE. If you choose to provide specific information about your case before we confirm that we are willing and able to consult with you about becoming a client, we may not be able to treat that information as privileged, confidential, or protected information, and we may represent a party adverse to you even if the information you submit to us could be used against you.